Chicken breast in a tomato sauce, similarly to all other products from the line is preservatives and gluten free. 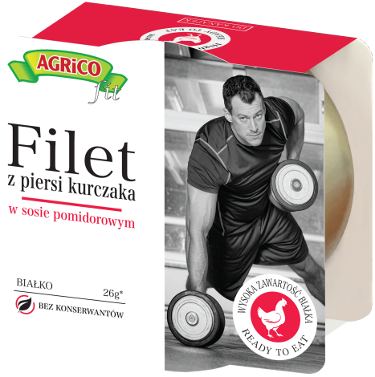 110g of this best quality meat from polish chickens is only 103 Kcal and has got a large amount of protein, which is a natural material of muscle tissue, with the minimal amount of fat, salt and sugar. 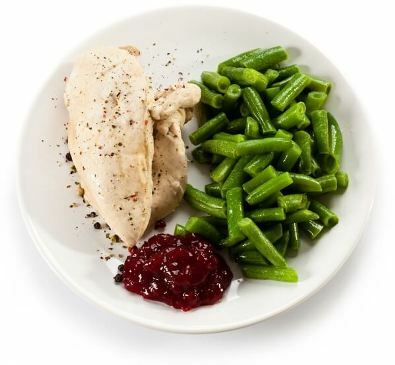 Properly prepared chicken meat is a rich source of B group vitamins, especially B3(niacin) and B6(pyridoxine). Vitamin B3 is responsible for energy processes in our organism, it takes part in the metabolism of carbohydrates, proteins and fats, as well as in the production of red blood cells. Moreover, it regulates the cholesterol levels. Regular eating of Agrico chicken breasts provides your organism with multiple minerals like zinc, selenium, magnesium, and phosphorus. Due to that our chicken is mostly recommended to people who lead a active lifestyle in proffesional and amateur sport. A perfect meal to restore nutritional values after a tiring excercise session. When you lead an active lifestyle and care for the healthy way of eating. Are you struggling to lose some weight? Our chicken breast is perfect for you!